Post form and Self Edge – Walsh Tops, Inc. 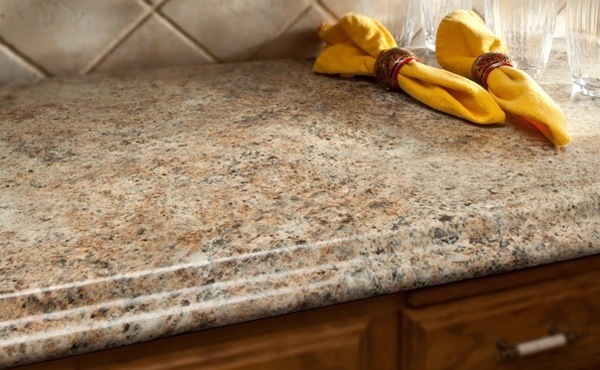 There are two types of laminate countertops: Self Edge and Post Form. Here is the difference between the two, along with some pro’s and con’s of both. These types of countertops are manufactured by adhering laminate to a particle board substrate with a formed edges and/or backsplash. The laminate is rolled over to create a single, unbroken laminate face. These tops are pre-laminated in 8, 10, and 12 foot lengths at a postforming plant and shipped to a countertop fabricator. The fabricator then cuts the tops to size, cuts the necessary holes, and applies laminate end caps to the raw ends. Cuts are made at 45 degree angles. Putting a 25″ kitchen section together with a 36″ pennisula will leave 11″ of top in the back corner without a splash. 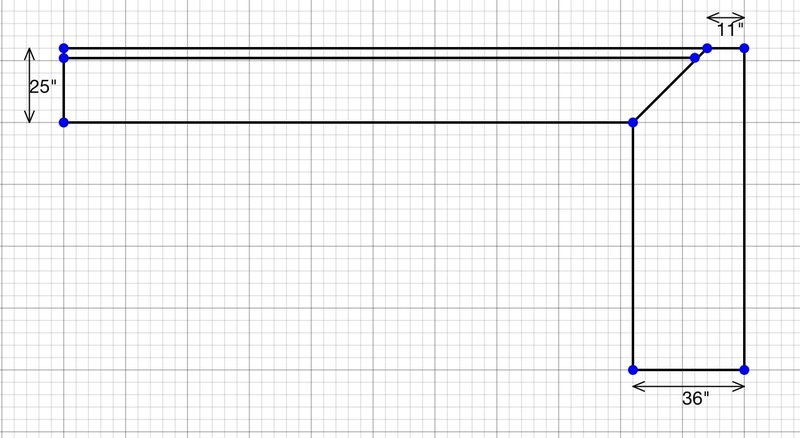 Ends of all runs are square. Post form tops can not be rolled on a front and a side. Notice in the picture the roll on one side and square on the end. Self edge tops are custom made countertops. Self edge tops are also very popular for those who chose to have few or no surface seams. These tops have particle board as a substrate and sheets of laminate are adhered with contact adhesive. Since self edge tops are custom made, they can be made to fit any unique configuration. Curves, notches, angles, etc. are possible using self edge tops. Fancier edge treatments are becoming more and more available. 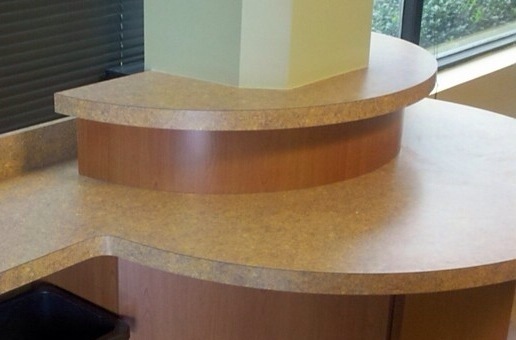 Beveled edges, ogee edges, and curved edges can be an alternative for a self edge top. 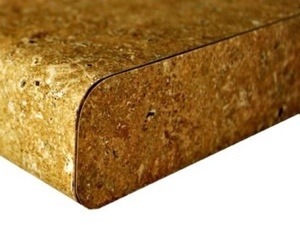 If you are concerned about moisture intrusion getting into the splash or even the substrate, a plywood core is always a potential option. Plywood splashes will, most times, prevent significant swelling of the substrate. Feel free to contact me if you have questions about the different edge options or with questions about the differences between the different types of laminate tops. A newer option is to get an applied edge countertop. Options include bevel edge, crescent edge, ideal bullnose, and ideal ogee. These applied edge options conceal the black line of the self edge countertop.